Is there a better alternative to Flying Toasters Screen Saver? Is Flying Toasters Screen Saver really the best app in Screen Savers category? Will Flying Toasters Screen Saver work good on macOS 10.13.4? Flying Toasters Screen Saver is back! 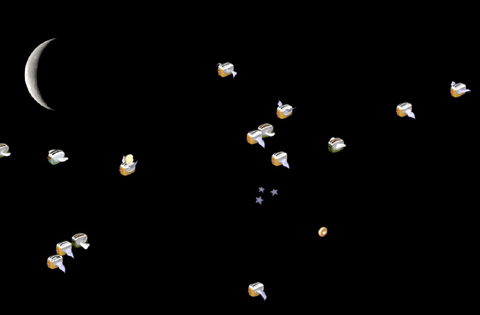 Those lovable flying toasters from the best-selling screen saver of the 90's "After Dark" haven't been around since Intel Macs hit the scene, but now once again you can have them flying around your screen. Remember the good times. With 29 characters to enjoy you never know what is going to appear next. We have tried to recreate the feeling of the original Flying Toaster screen savers, so if you are looking for 3D graphics and fancy effects you will not be disappointed. Flying Toasters Screen Saver needs a rating. Be the first to rate this app and get the discussion started!